Coffee Lake has been with us now for just over a year and it’s been a rather turbulent period for Intel. AMD’s continued gains over the last 12 – 18 months has marked a change in the marketplace and the first generation Coffee Lake launch perhaps felt a little rushed last time around, especially as Intel was attempted to respond to the opening volley in the now ongoing CPU wars. 1. 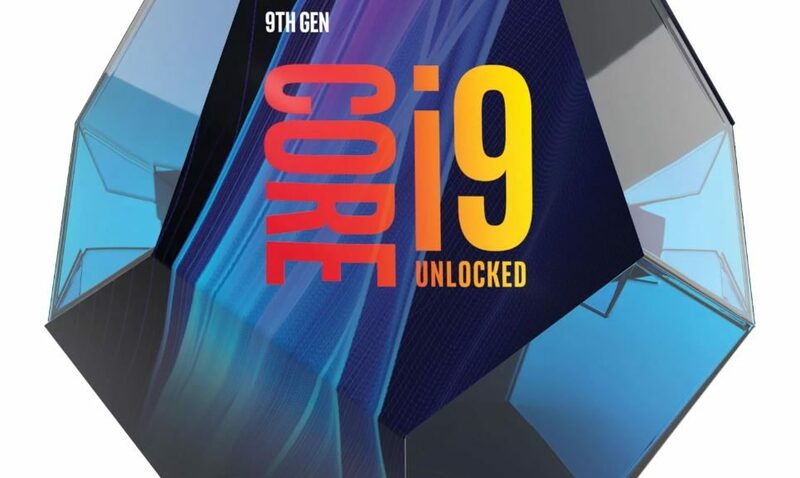 The new flagship in the form of the 8 core + Hyper-threading i9 9900K running at 3.6 with a turbo clock of 5GHz out of the (oddly) shaped box. 2. The i7 9700K featuring 8 cores but no Hyper-Threading. The chip is clocked to 3.6GHz and 4.9GHz out of it’s rather more normally shaped box. 3. Lastly the 9600K in another boring box. 6 cores, no Hyper-Threading and 3.7GHz with 4.6GHz on the turbo. So, we see some firsts here and some repositioning in the range. The i9’s go mainstream and in this case, we’re seeing a few notable key differences there. The big one is that it’s the first time we’ve seen Intel put out an 8 core mainstream chip. Given we only got our first mainstream 6 core back on the last range refresh, it’s good to see them again being pushed into cramming more value onto the die this time around. 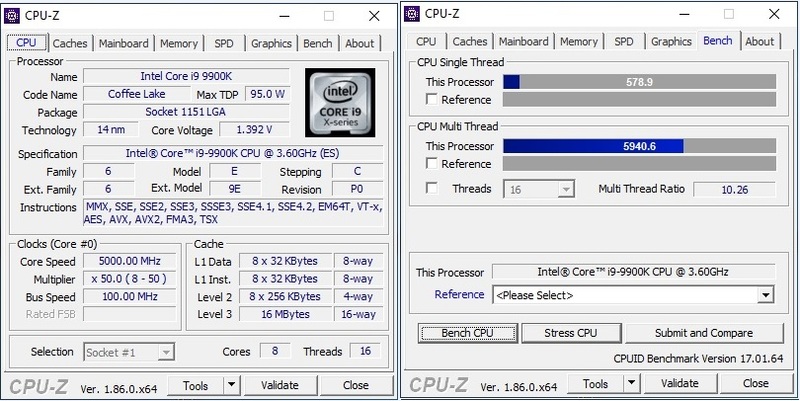 The i9’s are also promising us solder under the heat-spreader this time around, rather than the paste found in models elsewhere in the range, so this should in theory help with overclocking for those wishing to push them a bit more. The i7 & i5 models this time around are limited to 8 cores and 6 cores respectively with no hyper-threading. Whilst it helps to differentiate between the respective ranges, it is going to come as a bit of a shock to anyone used to the current i5/i7 naming convention. On first thought, we wondered it this meant that we could expect the new 8 core with no HT to be outperformed by the older 6 core + HT models or not, although this could very well come down to specific workloads. Hyper-Threading by its very nature is based around stealing unused clock cycles to get more work done, so if your workload is already thrashing the CPU, then having Hyper-Threading isn’t really going to have much of an impact. In previous testing I’ve tended to note anywhere between 20% and 60% gains with it turned on depending upon the software in use, so it could be argued that having an extra 2 real cores, could equate to somewhere in the region of 4 or even more lost Hyper-Threads (once again, workload permitting) and we’ve also got to consider clock and IPC gains here, so playing off the 9600K & 9500K’s against their predecessors are going to be certainly interesting. So lets get down to it. All the standard tests to start with and nothing unusual going on so far. Whilst they are all clocked fairly close together as far as the cores go, you can note differing amounts of L3 cache on each of the chips, which is no doubt going to help a little in both the single and multi-core benchmarks. So on with the DAWBench SGA DSP Test and we can see the 3 new chips in Yellow above. Starting with the 9600K the obvious comparison here is against its predecessor and frankly, it’s a little underwhelming with a somewhere between a 1% – 10% increase depending upon the buffer in play and scaling upwards as the buffer size is increased. 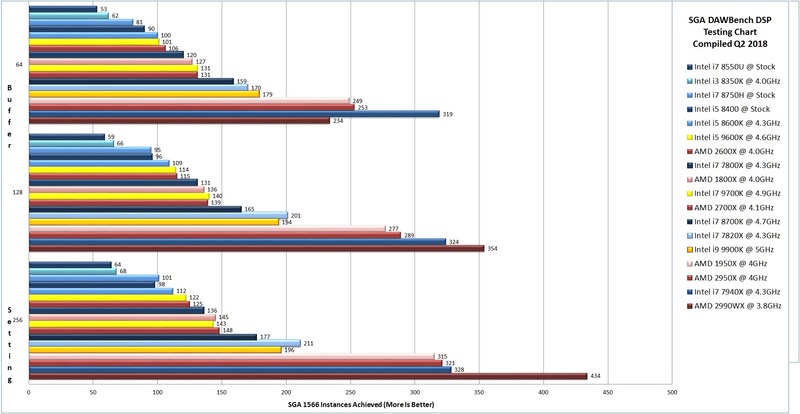 The 9700K is next and we get to compare its new design configuration of 8 true cores and no Hyper-threading, which also appears to come off poorly here when compared against the older 8700K with the results showing up a 20% – 40% drop off against Intel’s own previous generation class leader. The loss of Hyper-threading here really looks to have impacted the testing on the new generation at least under the DAWBench classic test. I do get the thought process here with the chip design itself, as the largest new segment in recent years that seems to have captured the marketing teams imagination has been the rise in content creation users who are live streaming. True cores for that sort of content generation is far more beneficial, especially gamers who wish to live stream at the same time, so I fully understand this design choice, in fact it could be argued that this style of chip would be preferential for anyone working live but for anyone looking for raw performance in the studio it’s all a bit disappointing so far. The flagship here, however, is no longer the i7 model, but rather the i9 9900K and it’s at least here where things are making rather more sense. It’s the first time that we’ve seen an 8 core in Intel’s mid-range line up and looking at the result above, it looks to have settled itself just above the 7820X from the Intel Enthusiast range (X299) and to be fair, on paper at least it makes perfect sense that it would replace that chip. It’s the same core count, a few generations newer and clocked higher, so it was always going to be a contender, what it does mean, however, is that once again we see one of Intel’s mid-range chips start to cannibalize their own enthusiast class of chips. In fact, we’ve now reached the point where the lower end i7 enthusiast class has had a dearth of releases over the last 15 months and largely been killed off, wherein the same period AMD has successfully taken a sizable bite out of that part of the market space too and we see them continue to take advantage of Intel’s lack of new competing models. Indeed, in the chart here sat above it, we see the large core count AMD’s as well as the older generation i9’s outlining exactly what this test is good at, which is small files being spread efficiently over the all the available processing space and honestly, the results here once again don’t really give us any surprises as to how and where the chips are being positioned in the range. Switching over to the DAWBench VI Kontakt based test we see a more interesting picture as the higher single core clocks appear to give us a welcome boost here. In the one thing, it does really outline for us here is that the Kontakt handling looks to benefit from IPC figures all around. 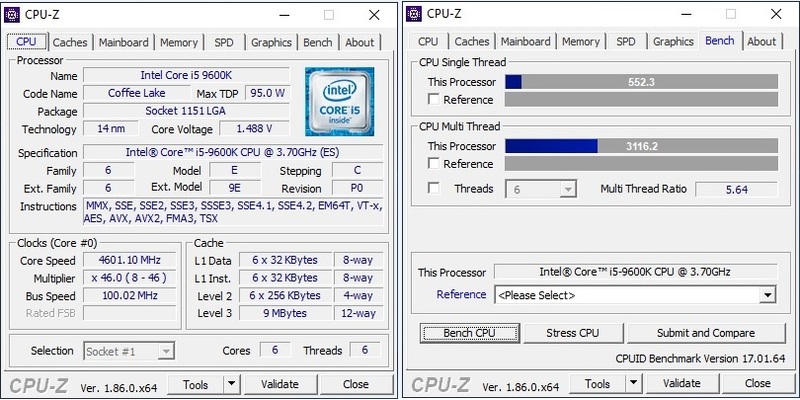 Having the dedicated cores looks to help when working at tighter ASIO buffer settings on both the 9600K and 9700K, although we can see that this benefit disappears on the 9700K once we slacken that setting off to around the 256 buffer. It appears at this point that the Hyper-threading on the older 8700K finally gets a bit of room to breath and flex it’s stuff once you open up the buffer far enough and this in itself is interesting information. Thinking about this from a live point of view where you’re aiming for the tightest RTL score and quite likely to be making use of Rompler style libraries, this does outline that going with these new chips that feature all real cores might well pay off for you in this situation. 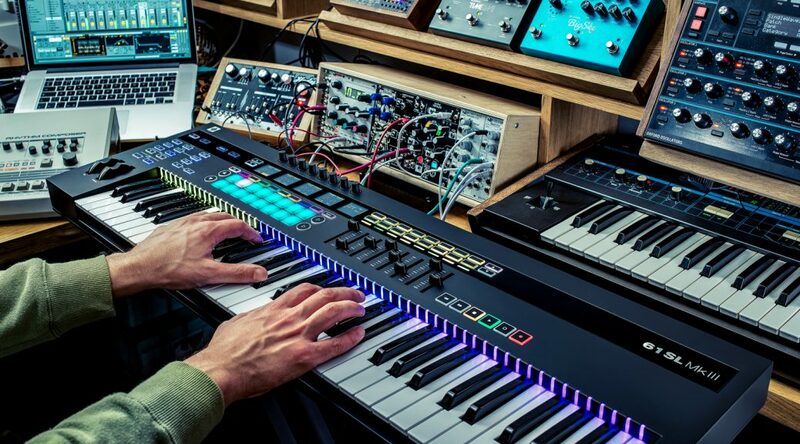 However, if you’re working in the studio, the loss performance at the larger buffer settings, at least in comparison with the older generation might once again prove a little perplexing. Taking a look at the i9 9900K by comparison and it starts to make more sense again, with it doing rather a good job at once more making the older 7820X chip irrelevant. There is less challenge up this end of the chart from the red team largely due to the lack of solid benchmarks obtained in the last round which you can catch up on if you hit the link. What this means is that the options here do seem to be becoming even more divided. It’s been pointed out that the higher latency jobs that the Zen chips were excelling at are applicable to all sorts of media editors still and with each additional chip it becomes ever more clear that these continue to remain very scenario dependent, and that Kontakts way of working tends to favour highly clocked cores and larger IPC figures over the workload being spread out over more numerous but slower cores. Before I round up I just want to throw out a couple of additional charts. I didn’t get a chance to do it with all of them, but I did record the i9 9900K at both stock and at the all core overclock, largely so you can see the difference it can make by setting it to the all core turbo. Depending on the test and buffer size it’s up to around 8% in these benchmarks, although this can grow as you use more complex chains of processing in your projects. A chip is only really as strong as it’s the weakest core, as once you max out any given core you begin to run the risk of audio artefacts creeping in. I mention this specifically with the i9 9900K as a lot of premium boards have been shipping with 5GHz profiles now for a few years and it’s rather easy to hit the results I’m showing above with a halfway decent cooler solution. Above that, you’ll probably want to move to a water cooler solutions with 5.2GHz looking to be the target for anyone wanting to really drive it. I’ll also note that the i7 9700K was running comfortably just below 80 degrees by the time I all core turbo’d it, whereas the i5 9600K was sitting nicely around the 60 degrees mark even with Prime 95 absolutely thrashing it, so I reckon for anyone wanting true cores only, you might have quite a chunk of headroom there to play with if you want to tinker with it. So, overall, what are my final thoughts? The i5 9600K and i7 9700K both feel like a step backwards for our part of the market to a degree. 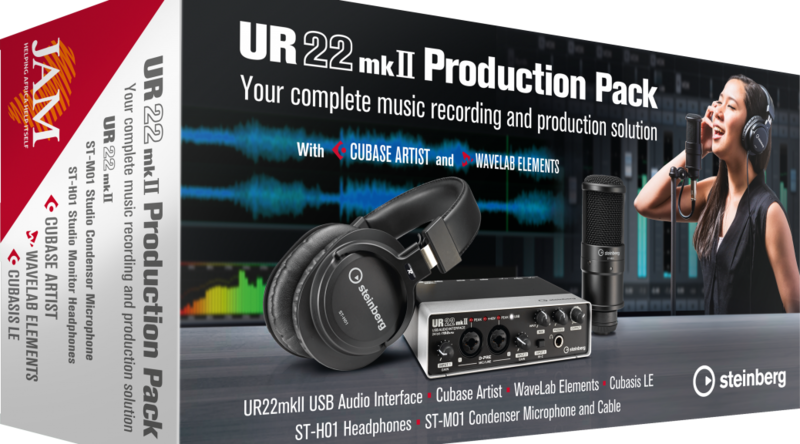 Sure, they have some strengths and I’ll come back to the example of low latency machines for live use again being a prospective user base, but their value proposition in comparison to other chips already out there is where it really falls over in the studio. Having a sideways move in the overall performance is a little disappointing but we’re seeing an initial street price on the i7 9600K of around £350 against the i5 8600K historical showing of around £250. Similarly the 8700K was around £350 for most of its lifecycle and the 9700K sits at £499 at launch, so we’re seeing price increases with each of those ranges, although I suspect as supply catches up with the initial demand we may find some price realignment over the coming months and I wouldn’t be all that surprised to see the new chips reflect older price points once the market stabilises. This is a fairly common occurrence with any new chip release, but admittedly it leaves me feeling a rather underwhelmed given all I’ve discussed already from a performance point of view. The i9 9900K, on the other hand, replaces the 7820X which spent most of its lifecycle between £400 – £500 in the UK and the i9 9900K has landed at £599. Assuming it’s going to drift over the coming months we’re still essentially looking at £100 mark up over the older model. 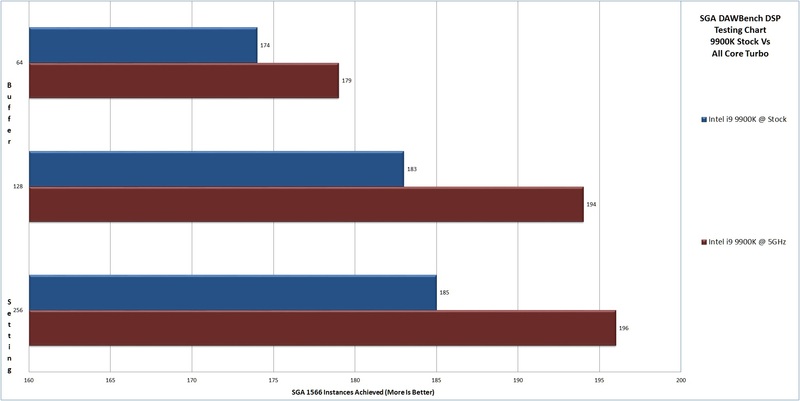 The DAWBench classic test here shows us mixed gains depending upon the workload and it’s up against the AMD’s which manage to still outperform it within this test. By contrast, the DAWBench VI test flips it with it outperforming the chips on the chart and keeping in mind the Threadripper results previously. So, does even the i9 9900K make sense? Well, yes, it’s the one that really does here. With the change to the Z390 platform, we see a cost saving over the older X299 platform complete with a more advanced feature set. With the cost differences between boards often totalling and surpassing the £100 amount, the overall cost of going with an i9 9900K over an i7 7820X looks to come out in the i9’s favour and that’s before considering the performance gains it offers. The additional good news here is that the other previous sticking point with the Z390 platform for some users is it’s restricted memory capabilities, as the four slots could only handle a maximum of 64GB. We’ve seen an announcement recently however that they are going to start offering double stacked DIMM’s over the coming months to support this platform, so hopefully, it shouldn’t be all that long until these boards can handle 128GB as well. Overall this feels like Intel’s real response to AMD’s advances last year although given the swift execution and release of the second generation Zen chips, perhaps they are still a tad on the backfoot here. It’s kinda where Coffee Lake should have been last time around and it’s of course good to see more power in the mid-range. It does leave me questioning where exactly it’s going to leave the enthusiast class, as anything less than an i9 on that platform is going to prove to be poor value at this point and given the age of that platform I really can’t help but hope that the next Intel enthusiast platform can’t be all that far off now. It feels like this is the repostioning that Intel needed to happen to put it’s own range back into some context, but it may not prove to be the change that everyone was looking for, at least in our small corner of the market. At the very least here the i9 9900K emerges as a rather strong contender for us audio users and I suspect any other i9 based refresh over the coming months is going to make this all make a whole load more sense when the dust settles. But with AMD already promising updates to its own platform and announced tweaks for their memory balancing promised over the next few weeks Intel may have to work even harder over the coming months.